To provide innovative healthcare one person, one family, and one community at a time. Caring for patients and families as a whole is of the utmost importance to us. 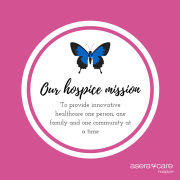 Decisions throughout the organization are based upon a foundation of clinical excellence, and we focus our resources on serving the needs of our patients and their families with a sense of care and compassion.